Identity. The Pilgrims knew they were pilgrims. They knew who they were and to Whom they belonged. Journey. 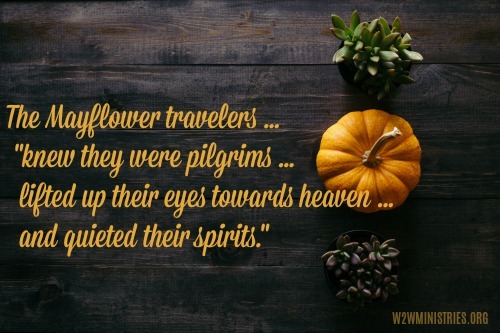 In knowing their identity, the Pilgrims knew they needed to make this journey. They knew they had to go somewhere in order to fulfill their purpose. Focus. The Pilgrims knew they had to maintain their focus. They did not let weather or difficulties deter them from what they needed to do. To maintain a heart of thanksgiving we are going to need to be just as the Pilgrims were in their day. We must know our identity, know where we are journeying, and always maintain our focus.